24h free and anonymous testing! ABSOLUTELY cheap! 7 days money back guarantee! HideMy.Name (formerly InCloak VPN) is a Russian VPN provider with anonymous payment method and without logfile user data storage, TOP anonymity is therefore guaranteed! In the test, speed and a large number of servers convinced, despite the very low price! The most secure (anonymity) provider compared! Offer: 24h free and anonymous test! inCloak uses OpenVP as well as its own version based on OpenVPN to protect customers' data, which is actually the best solution. On the available servers one is safe and stable protected. InCloak supports the use of OpenSource VPN software solutions, which is an advantage as it provides truly secure and constantly evolving solutions. However, if you want to have it easy, simply use the provider's Windows software, enter your access number and be sure. We have tested InCloak completely. We were unable to fix problems with speeds, although only some servers in Russia were heavily utilized. This is not really a problem because there are enough servers to use in the selection. Prices for the InCloak VPN service. Daily offer available and additional day use also available! NO logfile or user data storage! 2 simultaneous connections per user possible! The InCloak VPN has achieved such a good rating, because of the ease of use, the high security for the anonymity of the users and the unbeatable price! 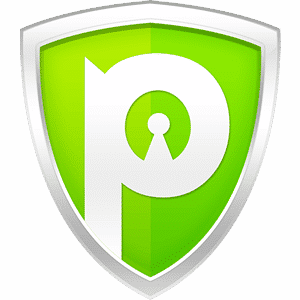 1 thought to "HideMy.Name VPN"
Pingback: HideMyAss VPN Service - the TOP VPN Provider in German!